Darlene wrote: Who would do such a thing? A bunch of high bums probably. Maybe Trump will just start executing them on the spot? President Rodrigo Duterte would never let this happen!!! Do not even get me started on that man! In one article I read, they teased that they could start making announcements on tenants for first floor. Wonder if they have any confirmed? Tenants could be moving into City Club Apartments, a large mixed-use redevelopment in the Crossroads, as quickly as next summer. City Club spokesman Mark Winter said the company is planning to break ground by the end of the summer on the $76 million project. 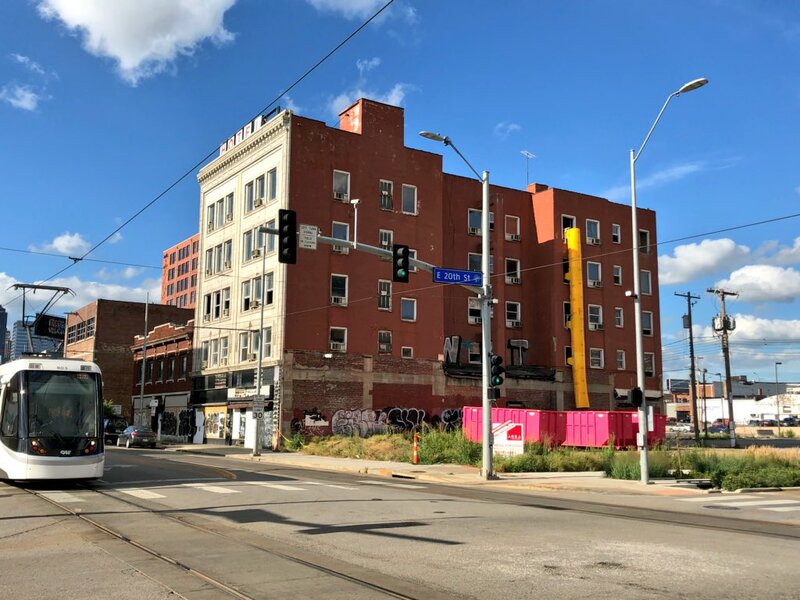 The Kansas City Plan Commission approved City Club's plan on Tuesday to redevelop most of the block bounded by 19th, Walnut, 20th and Main streets. Oh great! More time for the building to get burned to the ground. They were erecting a fencing barrier around the site this morning. Debris has been flying out into the dumpsters for a little bit now. I thought for sure this building would get destroyed by fire as many tims as the fire department was there. Might make it after all! Is there any retail tenants finalized? I noticed two riders on the sign that said something along the lines of "restaurant tenant pending" and "market tenant pending". (you can see the riders on the second photo above, but can't make out the text). Was hoping a tenant announcement would be part of the ground breaking. From this pic, it looks like they have already broke ground. 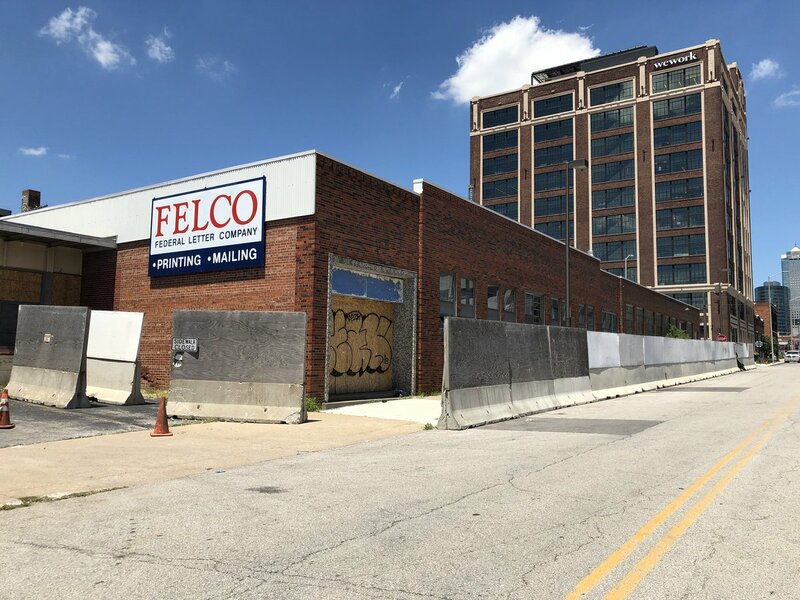 Tore down the FELCO building. This must be the start of actual construction of the buildings? Funny that the "groundbreaking" took place in a sandbox across the street.